Amesbury Bowls Club is situated behind Antrobus House, Salisbury Road (A345), Amesbury, Wiltshire SP4 7HH. The driveway is immediately to the right of the railings at the front of Antrobus House. On reaching the hedge facing you, turn right into the large car park then turn left and continue to the far end of the car park which is adjacent to the bowling green. 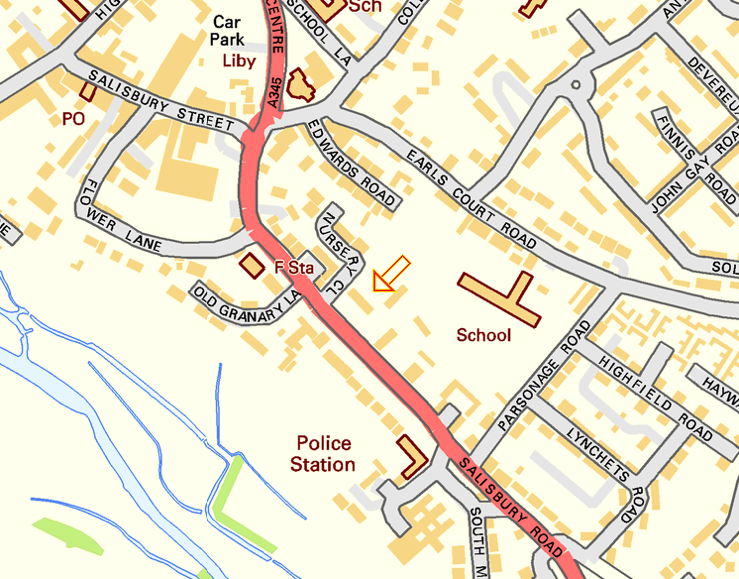 The following live satellite map shows the location of Amesbury Bowls Club. The map can be panned and have its magnification adjusted as desired.